Do you need to send the images from your Olympus camera directly to your computer without the need for syncing? If you do then the Olympus PENpal Bluetooth dongle can help you. 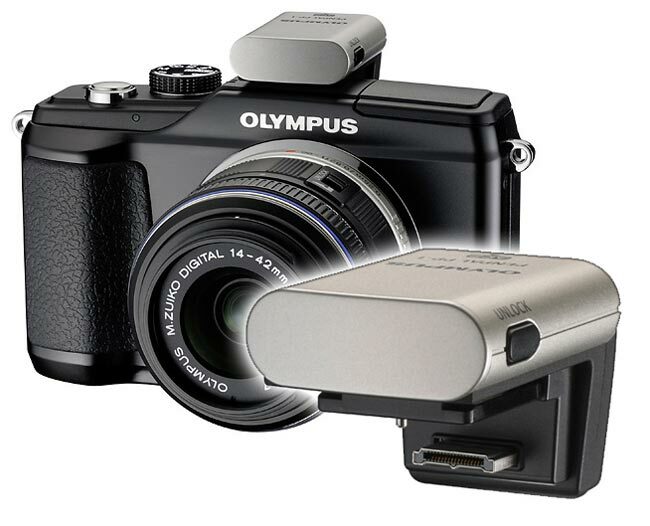 It slides into the accessory shoe on the top of the Olympus PEN E-PL2 camera and is then controlled by the camera itself. The PENpal also has the ability to resize your images before transmitting, allowing you to choose to shrink pictures to 1280 x 960, 1920 x 1440 or 640 x 480, or allow you to store up to 2,600 pictures in its own memory. The PENpal allows you to easily connect to Android or Windows Smartphones, but unfortunately PENpal will not link to a iPad, and it will only fit and work with Olympus cameras, but it is suits your needs, its available to purchase for around $80.